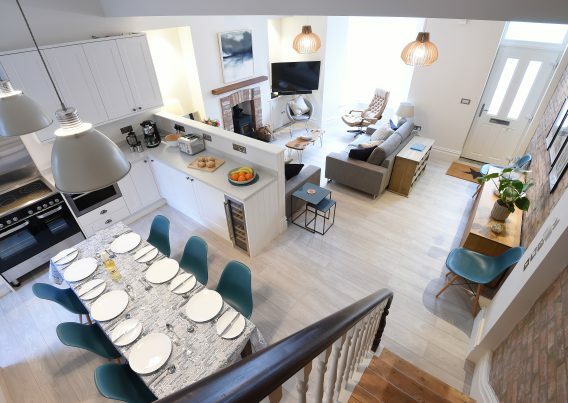 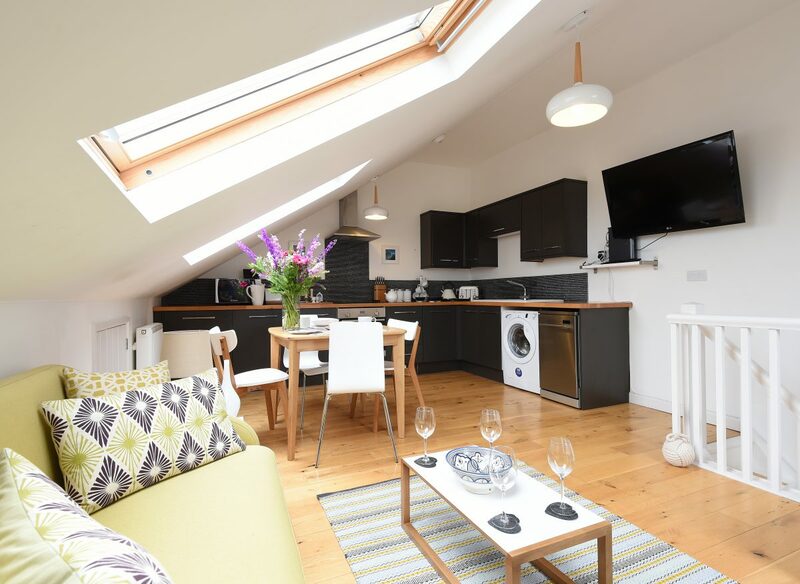 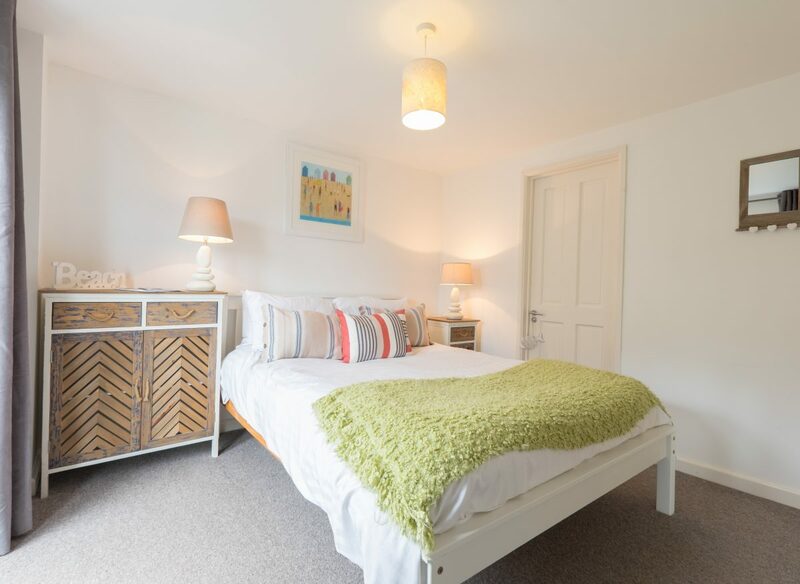 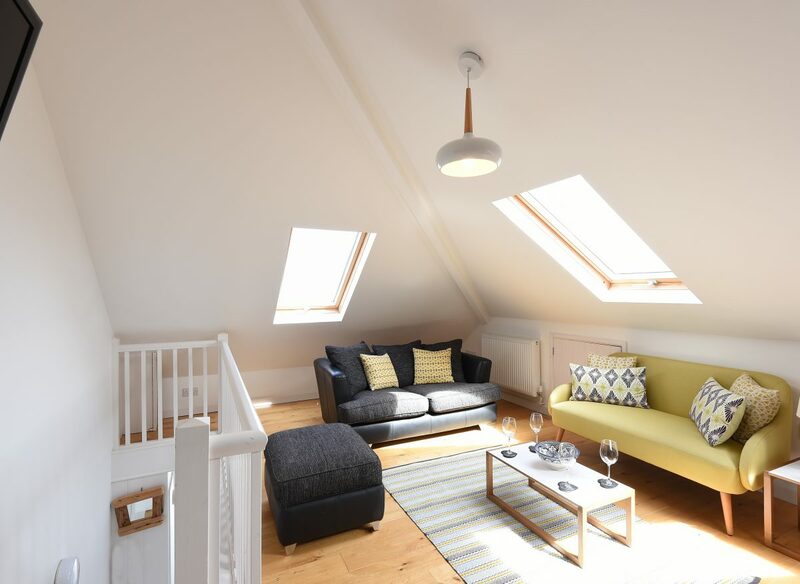 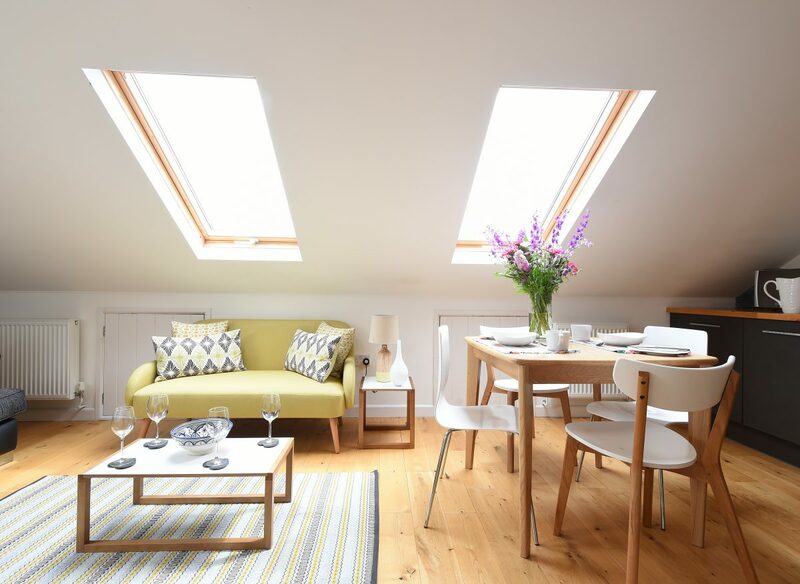 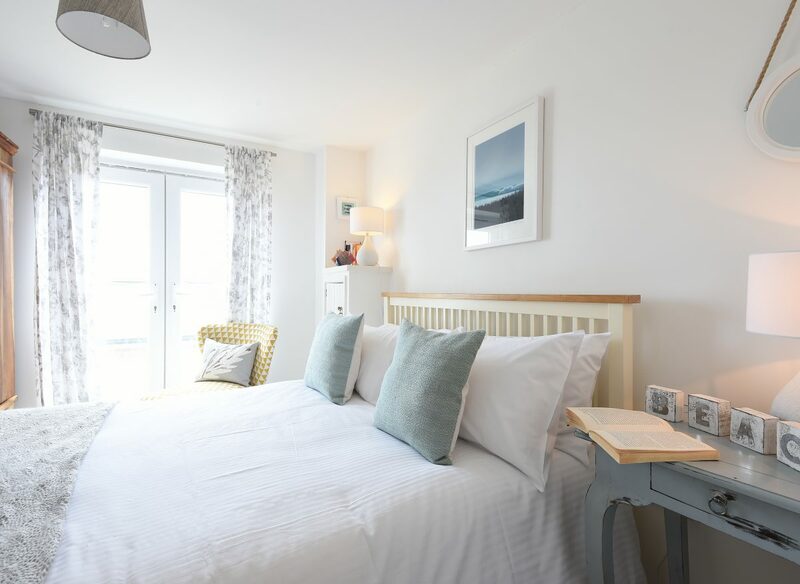 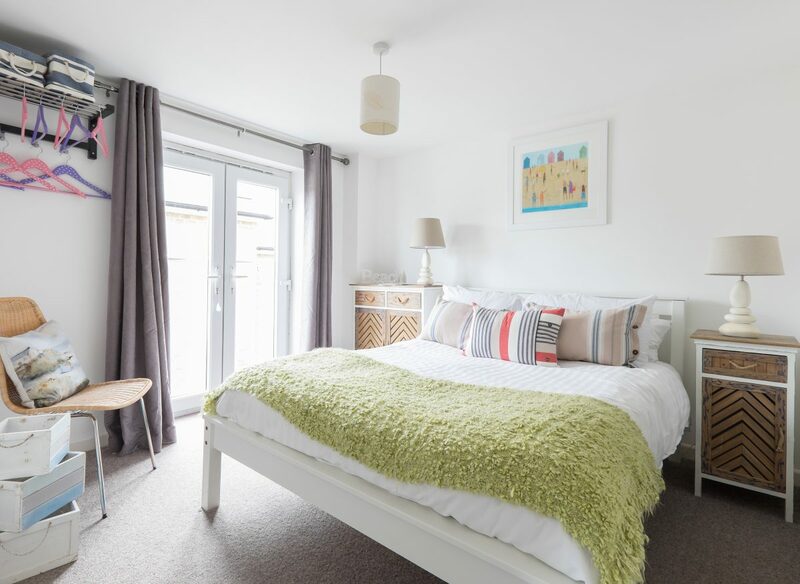 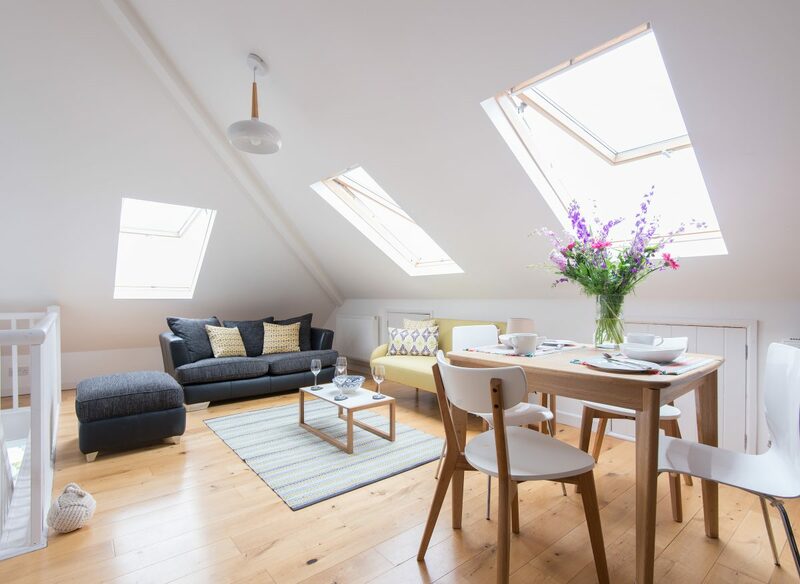 Shoreline House offers two very popular modern two bedroom apartments, each self-contained, and located together sleeping eight in four bedrooms. 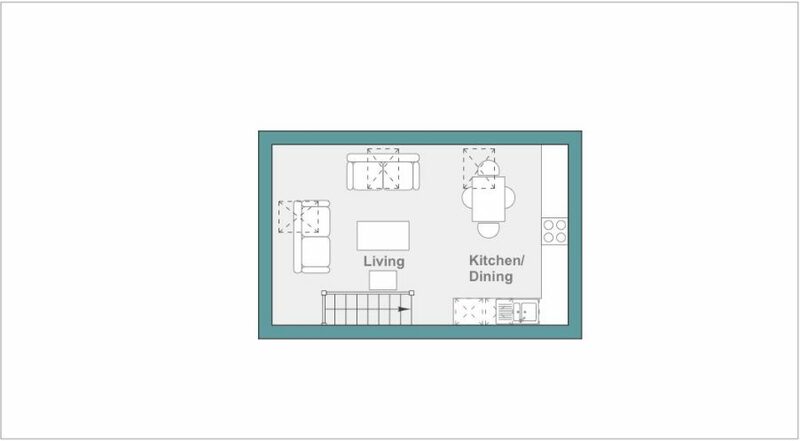 Great for large groups or families requiring their own separate space. 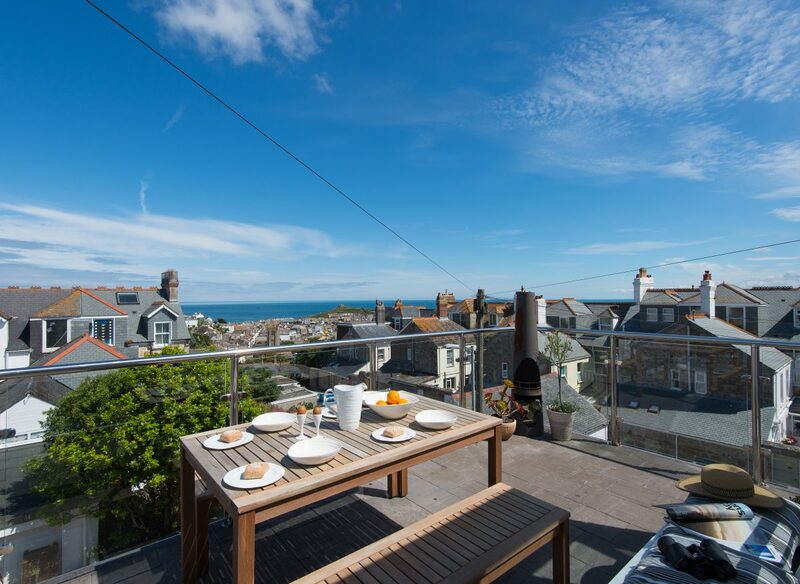 Sea views, private parking, balcony and open-plan living. 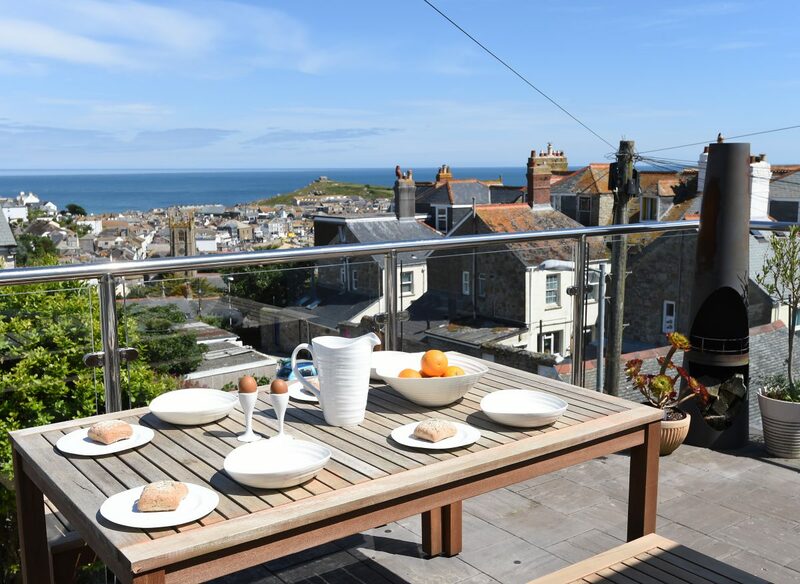 These apartments offer a superb package rented either individually or together. 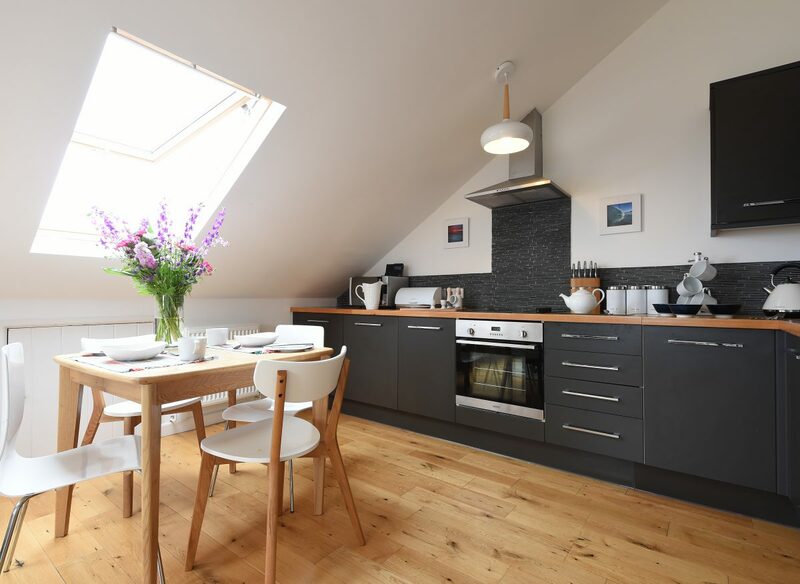 This first floor apartment is very well thought out, making great use of the space. 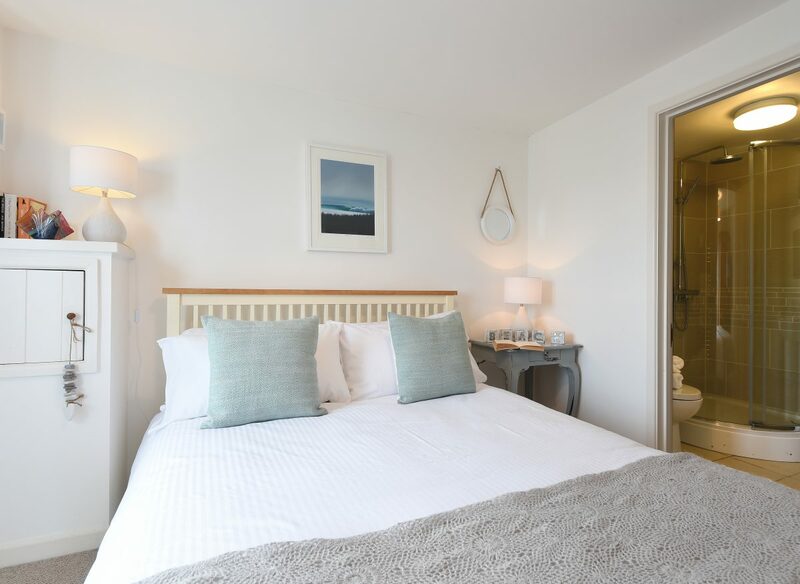 Modern styling and lots of light and air flowing through with views over the harbour from the Juliette balcony. 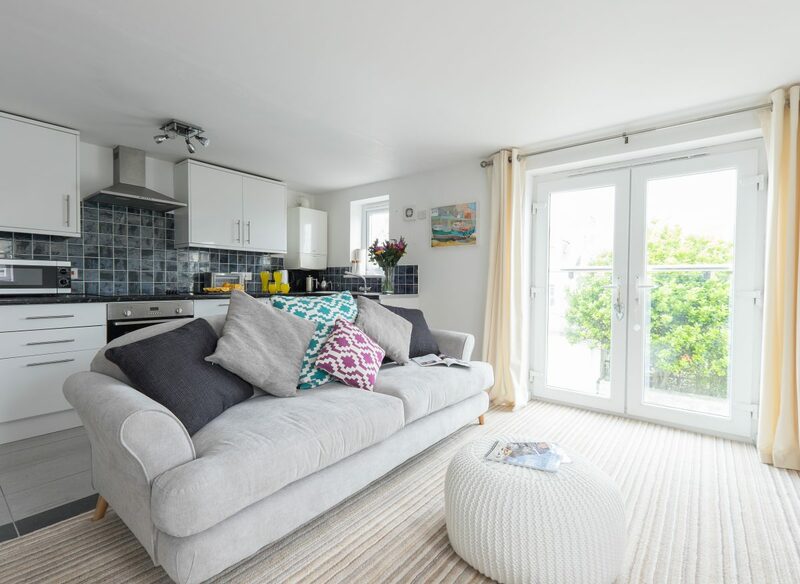 1 Shoreline View constantly reminds you that you are on holiday! 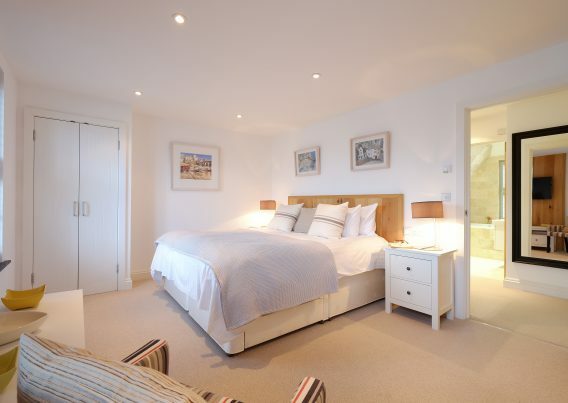 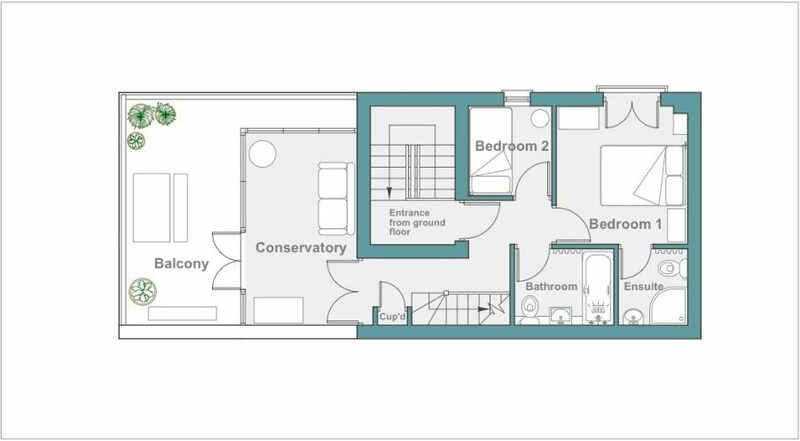 Comprising of two bedrooms, two bathrooms and open-plan living/kitchen/dining area. 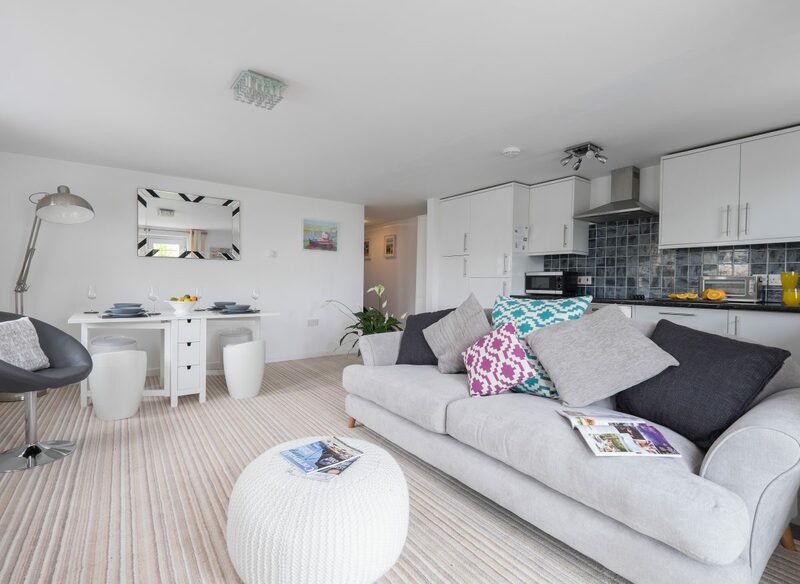 1 Shoreline View is a luxurious modern apartment in a fantastic location. 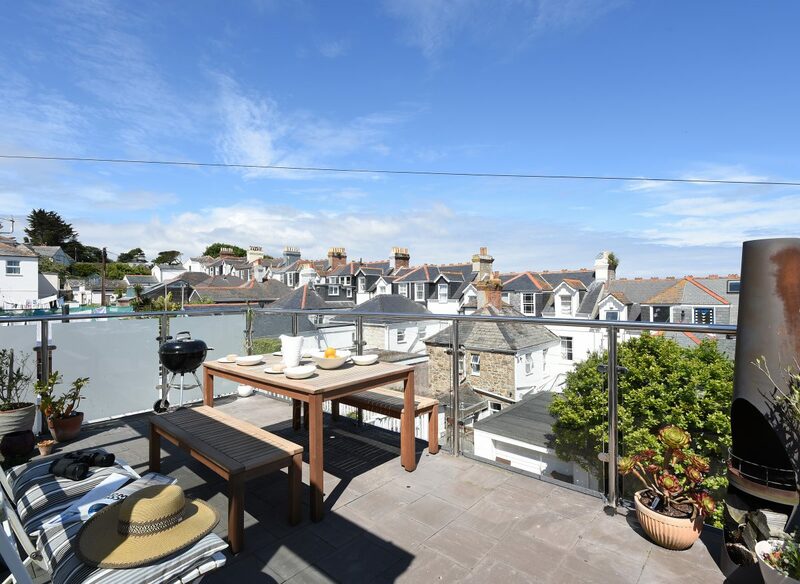 A second floor apartment set over two floors with the priceless feature of a conservatory and large sun terrace. 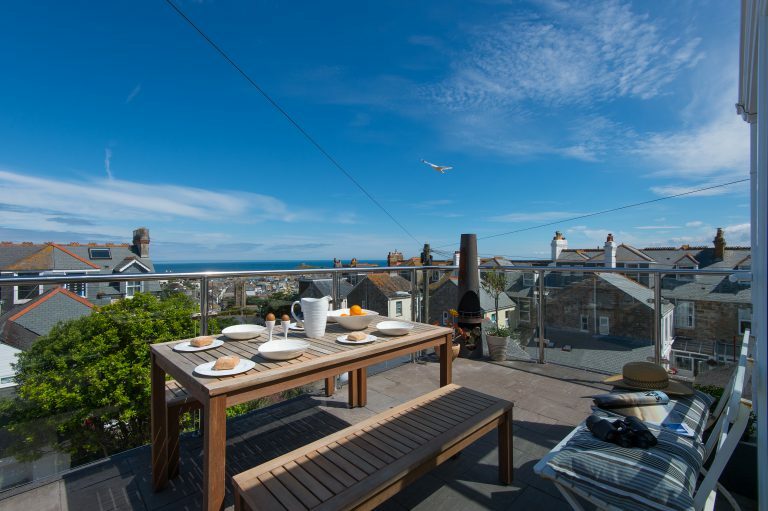 Enjoy a rooftop BBQ with panoramic views or get cosy in the sumptuous, warm conservatory. 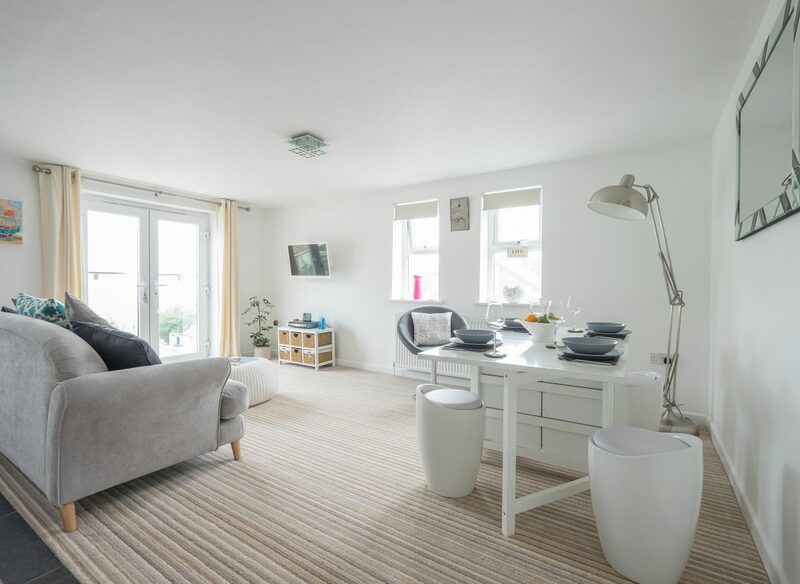 Comprising of two bedrooms, two bathrooms, spacious open-plan living/kitchen/dining area, conservatory, providing a second sitting room and large balcony terrace with table and seating for six. 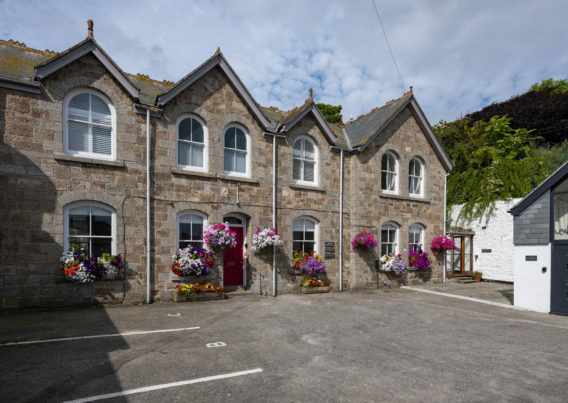 Only a few minutes walk to the town and beaches. 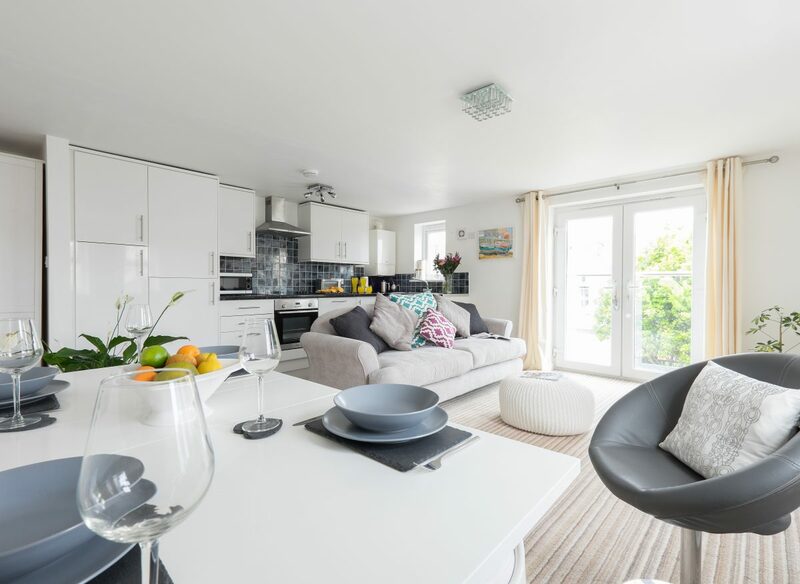 With a lovingly created interior design, 2 Shoreline View is a wonderful place from which to enjoy St Ives.